Oh, Kris, you’ve done it again. I have always admired your beauty and business sense, but your fashion sense? Not so much. 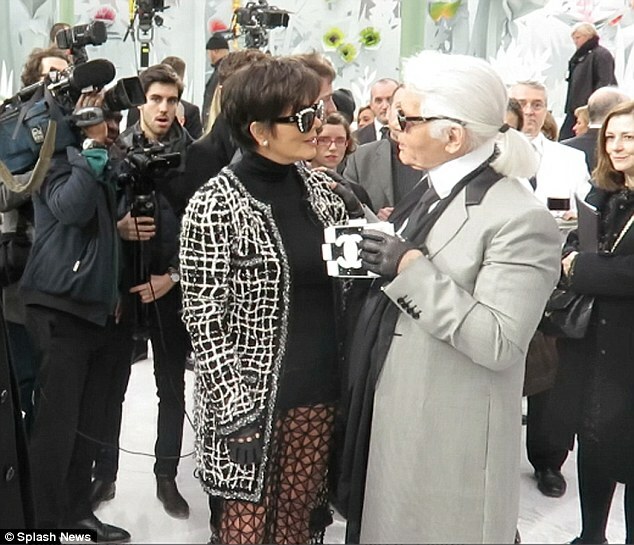 Pictured here with designer Karl Lagerfeld at the Chanel fashion show at Paris Fashion Week, Kris is sporting sheer trousers, rhinestone dark shades, and leather riding gloves. The effect is overdone. And inappropriate. As the Daily Mail reported, “Kris has got a killer body and super toned legs but there comes a time in every woman’s life when wearing totally sheer pieces becomes a no-no. We’re just glad that jacket is a longer version than some.” Ouch! Obviously, Kris is having fun with fashion but it pays to remember that when we step out into the world, whether couture or not, we are presenting a complete package of ourselves. And in this case, though Kris would rather not remember her age, the rest of the world, including myself, has not forgotten. You simply cannot pull off what you wore in your 20s and 30s when you are a mature woman. And that’s okay. I admire Kris for her energy and her sense of fun. I mean, it certainly must be fun to jet to Paris all the while keeping your 34-year-old boyfriend entertained. I can’t say that many other 59-year-old women could pull it off. And I am not sure that I would want to. One of the perks of being more mature is you are given the freedom to unplug from trends and sport your own personal sense of style. There is a way to still have fun with fashion and remain edgy without being tragic. I literally cringed when People magazine asked whether Kris’ ensemble was, tres chic or tragique? 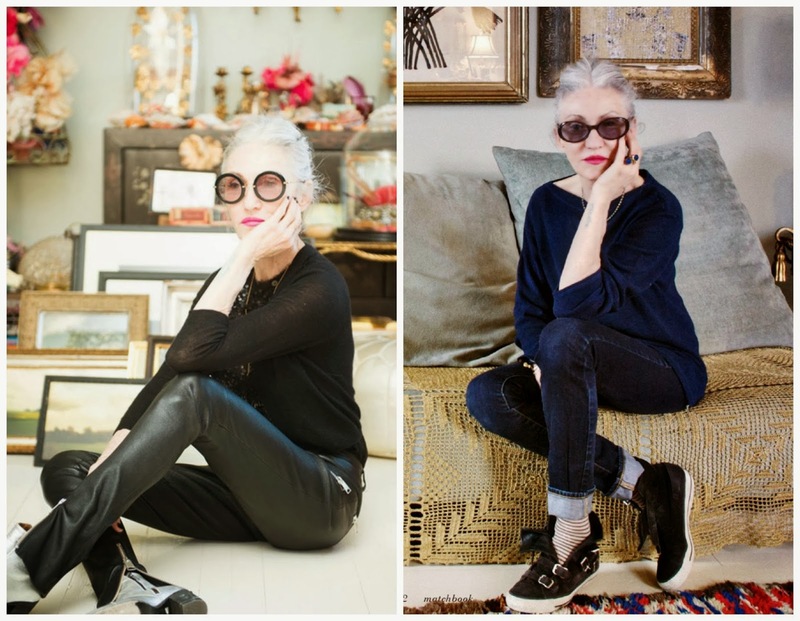 Kris could take a lesson or two from model Linda Rodin. 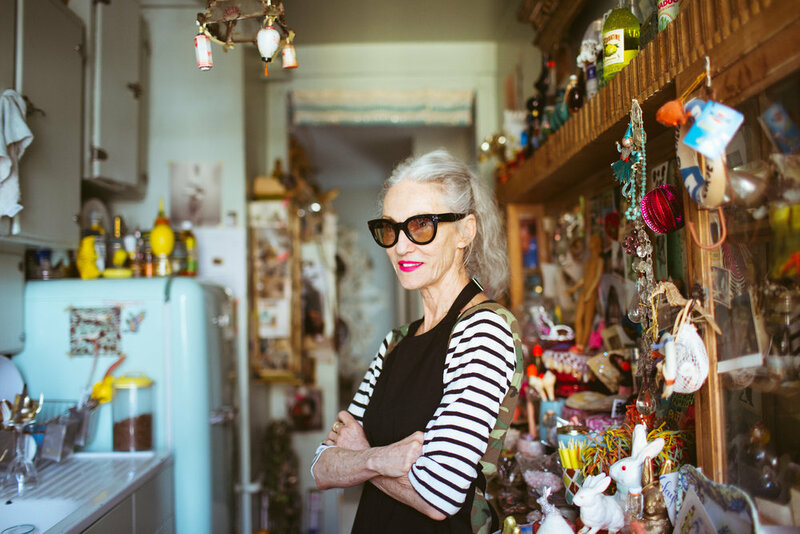 Linda never hides her age but always, always appears fashionable, a little edgy, and always appropriate. Does it look as if this women has fun or not?